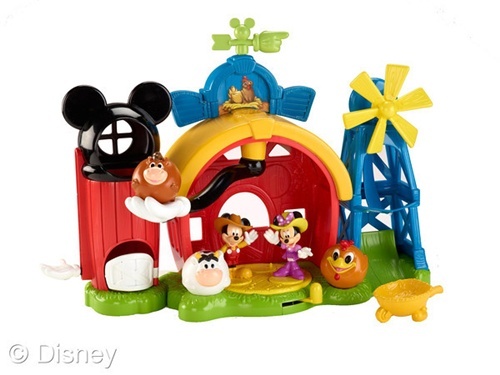 Disney just introduced the new Pook-a-Looz . 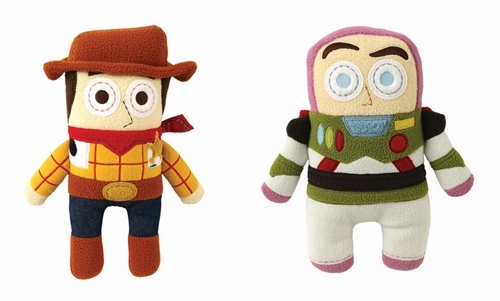 Two of my favorite characters are the Woody Pook-a-Looz and the Buzz Lightyear Pook-a-Loo Plush Toy . 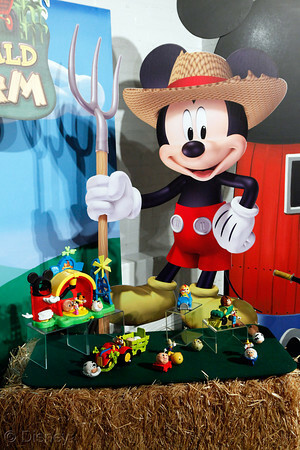 Both of them are simply adorable, and with the premiere of Toy Story 3 coming up in a few months they’re sure to be a hit. 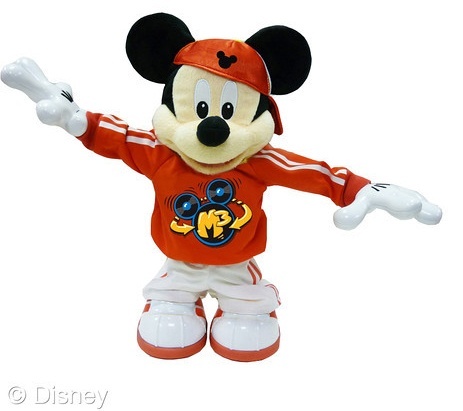 The new Pook-a-Looz collectible plush dolls feature a unique interpretation of some of Disney’s favorite characters, including Mickey Mouse , , Pluto and many more. 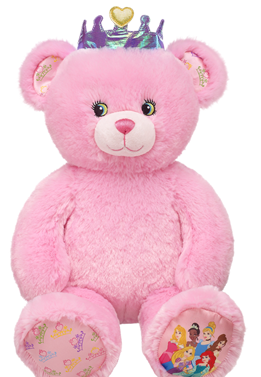 The creators focused on capturing one key trait for each character in the new plush collection, so that each doll is unique and quirky to it’s original character. 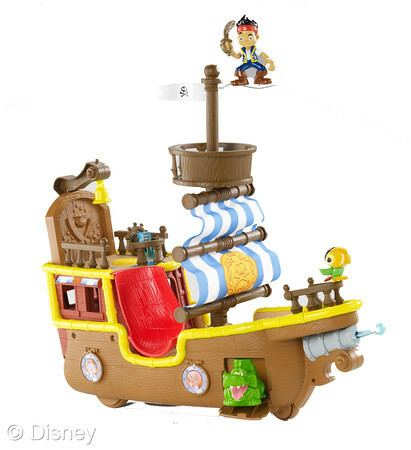 The Princess and the Frog toys are going to be popular with little princesses this Christmas. The latest Disney princess movie premieres in theaters this Friday. 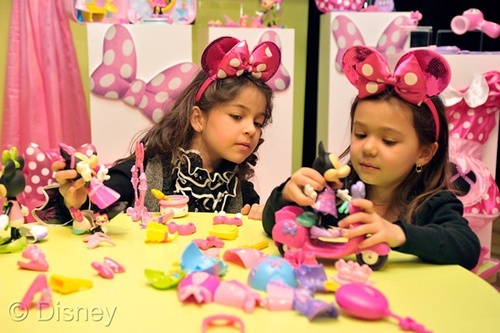 I have to say I think the toys are beautiful, especially the Princess Tiana dolls . 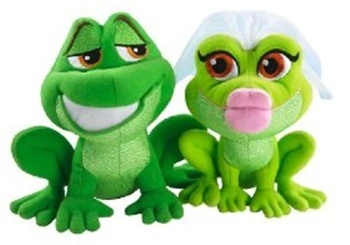 I think my favorite is the Disney The Princess and The Frog Kissing Frogs Giftset , aren’t they simply adorable? 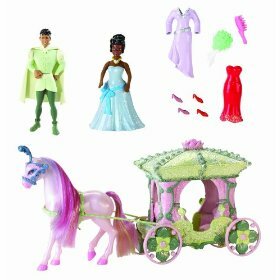 The Disney Princess and The Frog Deluxe Gift Set includes a Princess Tiana doll and the handsome Prince Naveen doll, a charming horse and glittery Mardi Gras carriage, dress-up fashions and accessories. 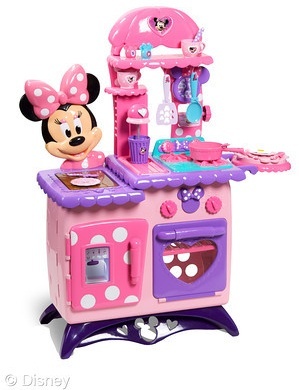 All set in a carry case that resembles Tiana’s Restaurant from the movie! 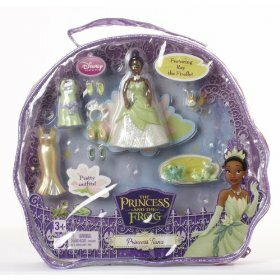 Disney Princess Tiana Sparkle Bag playset includes the lovely Tiana doll, dressed in a beautiful petal green gown with two extra fashions, accompanied by two playful frogs and jazzy Louis the Alligator figures.